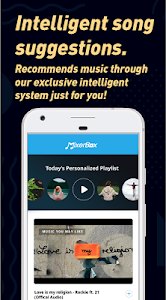 MixerBox Free Music Player Pro is the ultimate music player providing you with the better-personalized music experience. No subscription, no login required. Totally free to use! 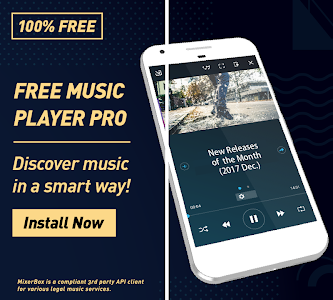 IMPORTANT: This Pro version allows users to enjoy full features of the app and provides a better-personalized music experience, while the Lite version is limited to some of the main features. What's special about our Pro version? • Gorgeous Design: Stylish and unique interface fits your taste perfectly, making you want to use it to enjoy music every day. 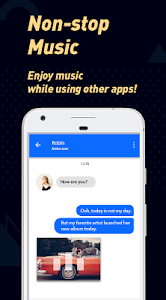 • Fast Preview Mode: In "Fast Preview Mode", every song in the playlist is condensed into a 20-second highlight, allowing you to browse through a playlist quickly and discover your favorite songs. • Caption Mode: If the music video supports captions, you can turn on the caption mode and view the lyrics with ease while singing along to your favorite music videos. 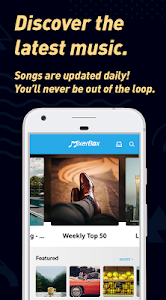 • Music Recognition: Instantly identify the song playing near you. Find out what the particular song is in just seconds. You can add it to the playlists afterward. 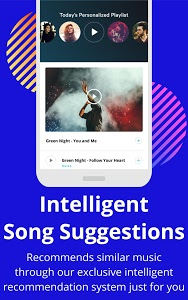 • Intelligent Song Suggestions: Recommends similar music through our exclusive intelligent recommendation system just for you. 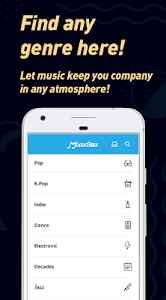 • Music Non-Stop: Enjoy the music while using other apps. 2. DISCLAIMER: This is NOT an official app from the various media services, and this is only an unofficial 3rd-party client that complies with their 3rd party API terms of service. This app is NOT an affiliated nor related product of those services. Per their API developer terms: https://developers.google.com/youtube/terms/branding-guidelines - "You do not need special approval to use YouTube APIs or to promote API functionality in your application" provided that the guidelines are followed. 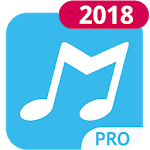 Similar to "(Download Now) Free Music MP3 Player PRO"